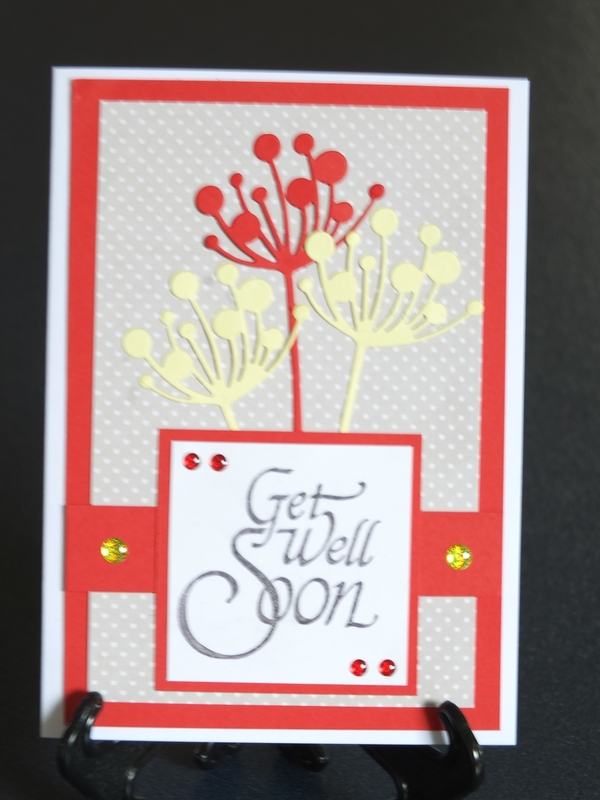 I apologise for not having an original design today but I have been battling a nasty upper respiratory tract infection that has resulted in my probably fracturing a rib. So I have not been able to do a lot of crafting, but rest assured I will be back in full force next year. 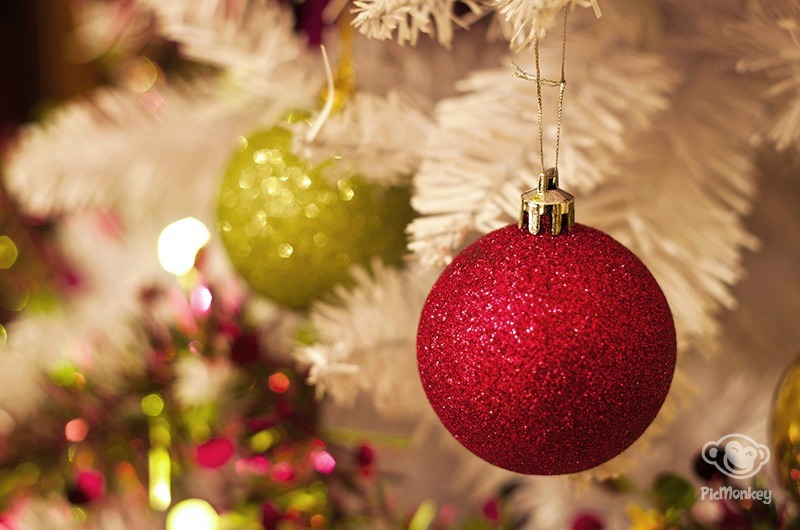 I would like to take the time to wish everyone a happy, healthy and safe Christmas and New Year. Stay Calm and Keep Crafting! I felt this title was really appropriate after being shaken about over the last day or so. We had another big earthquake – this time it was 6.6 yesterday afternoon and then we had a series of aftershocks of over 6 about 5.30 pm. Very unsettling! The aftershocks have continued today and although I don’t feel most of them there are still some good sharp jolts. I am getting to know the light fittings in minute detail as they are a good indicator that we are having another shock. However, we cannot live waiting for the big one to come so hence the mantra “Keep Calm and Keep Crafting” so I have continued to keep crafting. We are very close to making a special announcement for Make Shift so I have to keep working hard making cards. 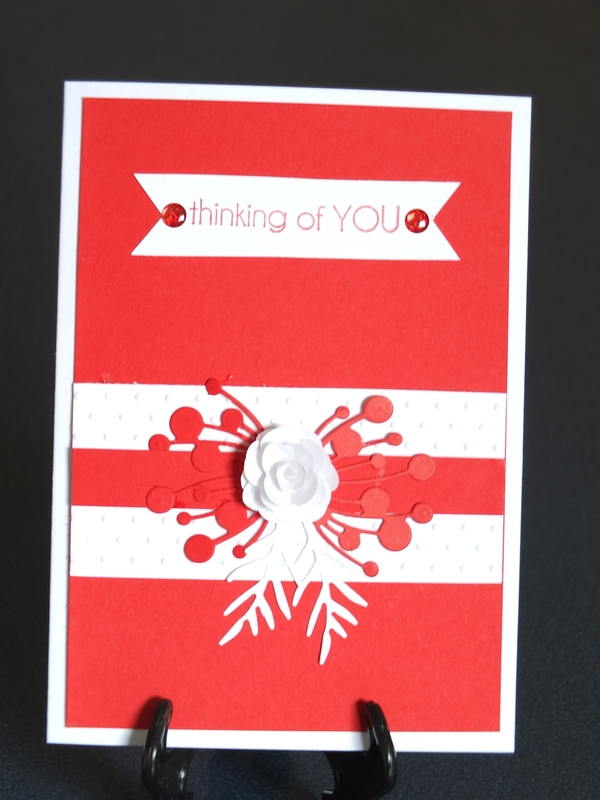 Today I am going to focus on one card and show you how I have made it. 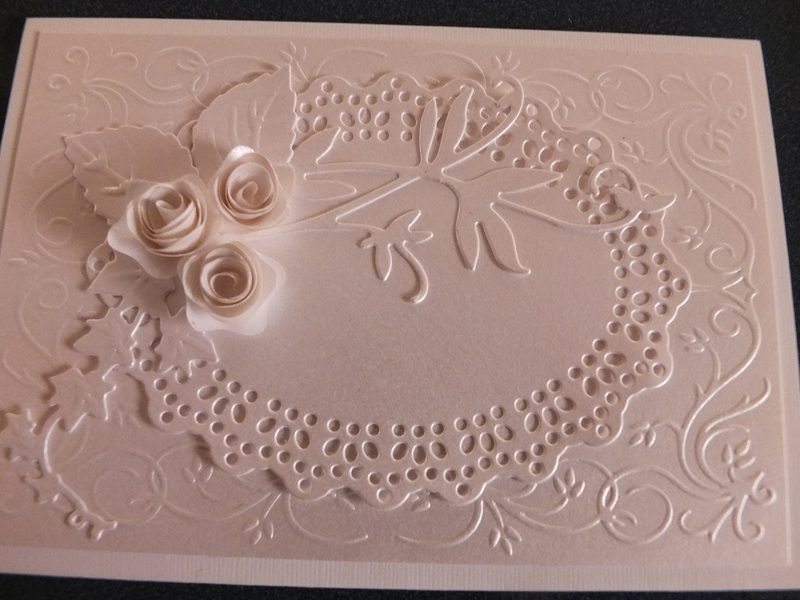 For the base card I have used a lovely cream linen finish card from www.cardmakers.co.nz. 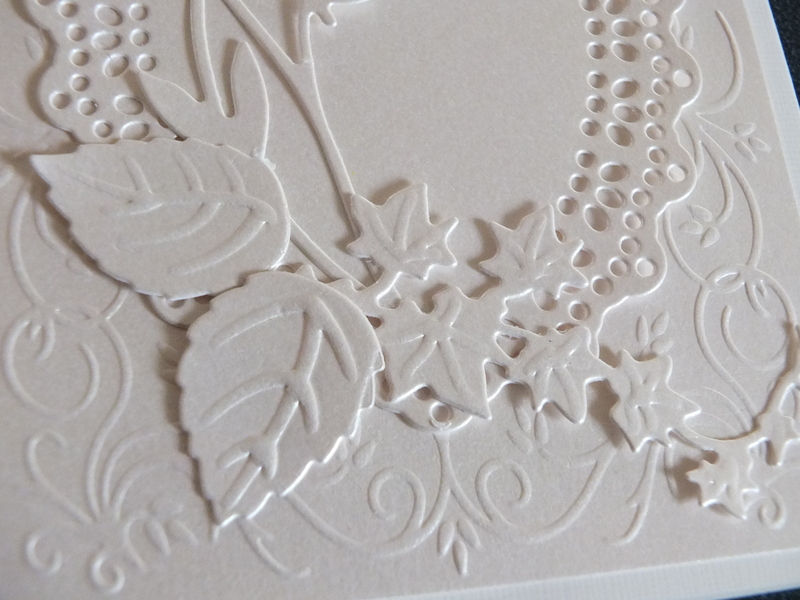 I then embossed an A5 sheet of cream metallic cardstock with the Nellie Snellen embossing folder HSF005. 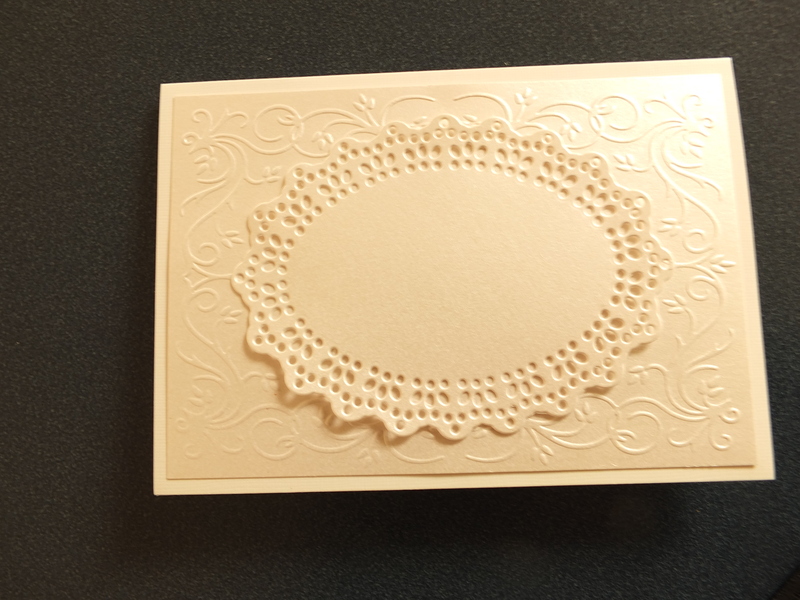 The embossed card was then trimmed to 10 cms by 14.5 cms to fit onto the base cardstock with a small edge around it. I find that my CM personal trimmer is great to get a good square cut. 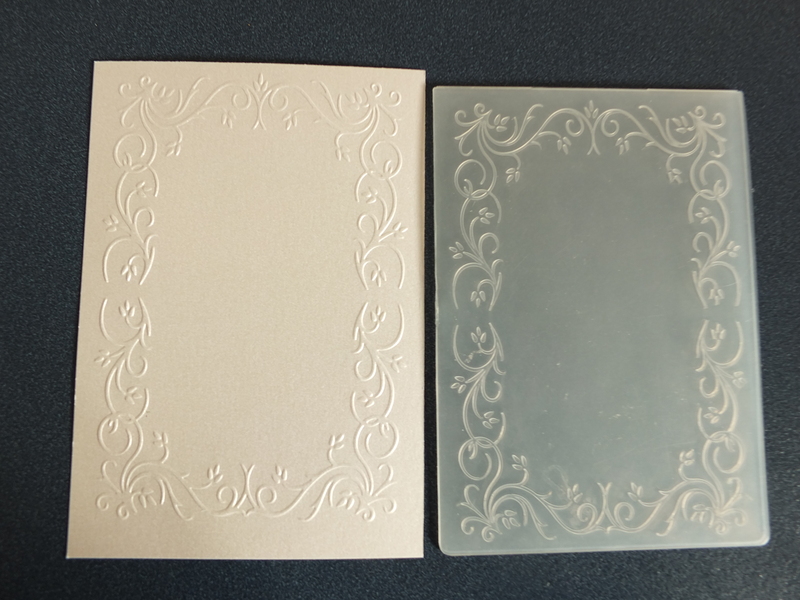 The cardstock I buy from the Cardmakers is slightly larger than the A5 cards, which is good as I like the layered look of the embossed card over the base card. It gives it an extra texture and dimension. 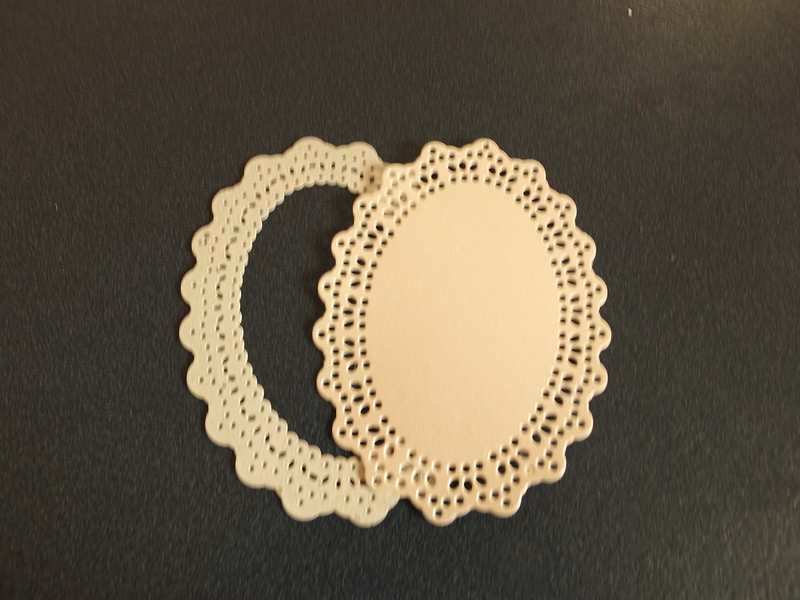 I then die cut the lovely oval frame from Marianne Craftables CR1204. 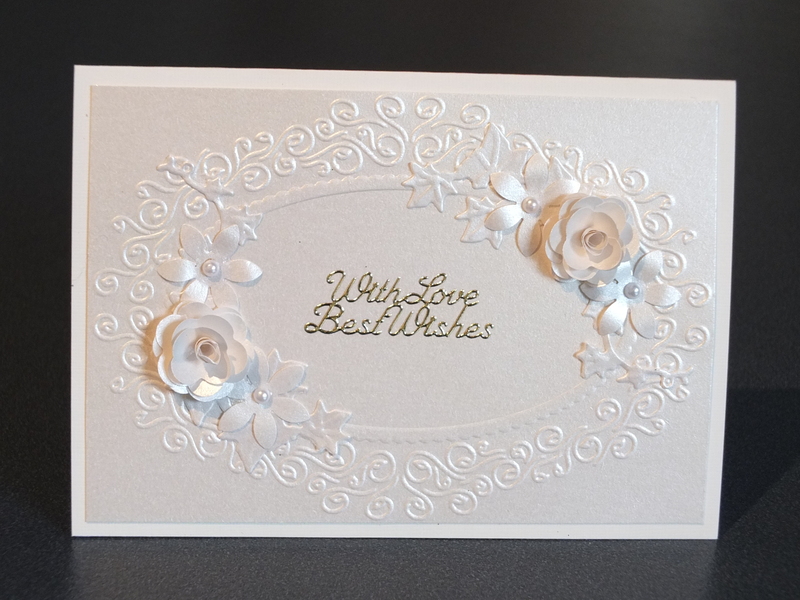 This is a beautiful frame that comes with a flower as well. 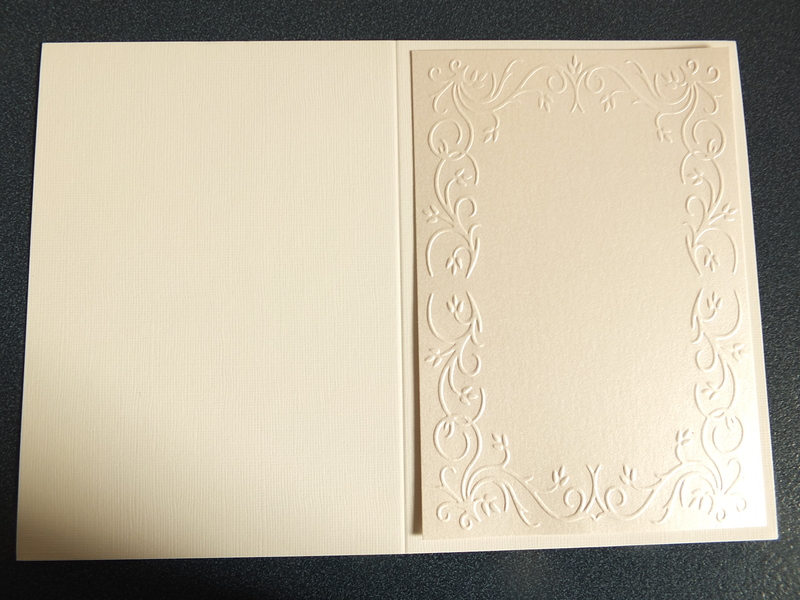 It sits in well with this embossed folder. 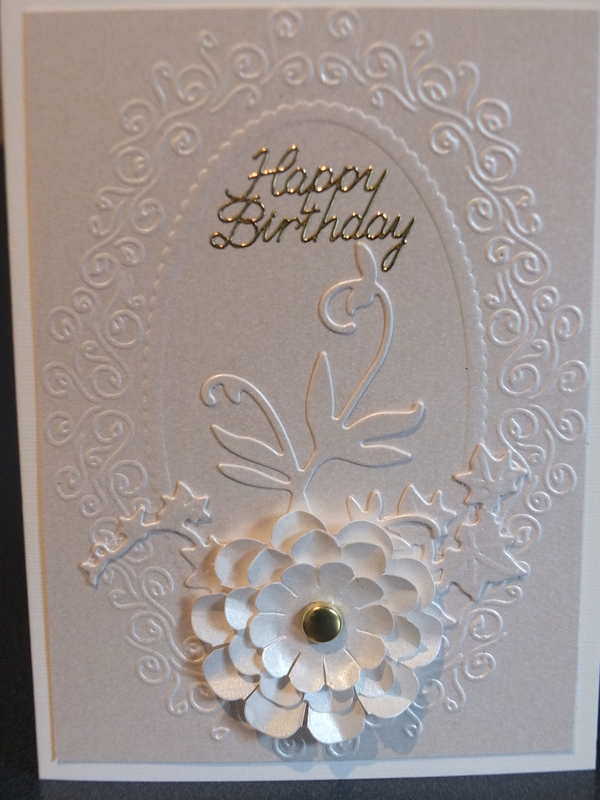 I then die cut all the embellishments out of the cream metallic card. 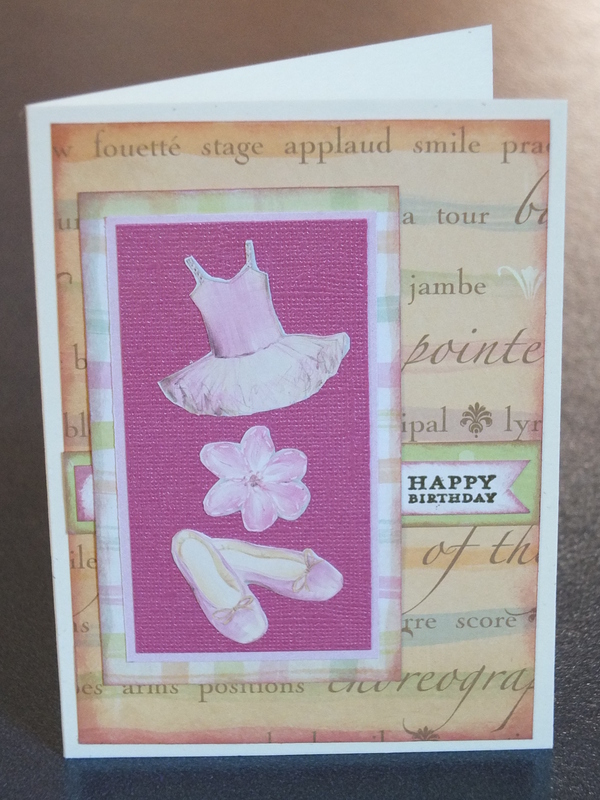 I have found a heavier weight of card better for most of these embellishments. 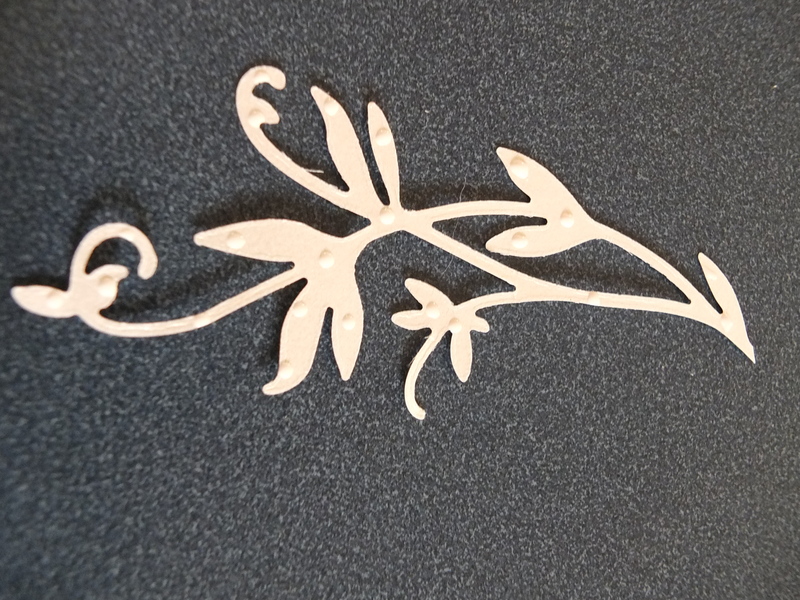 I have used Metallic quartz board from Direct Paper 285 gsm for these die cuts. For the roses I have used a lighter weight metallic paper from the local $2 store as this paper is much easier to roll up for the flowers. To adhere the branch I have used my CM adhesive pen as it has a fine nib but any good adhesive pen would work. I trimmed the bottom of the branch and placed it to follow the curve of the oval frame. Unfortunately the photo of this placed on the frame has been corrupted and I am unable to show you this step. I then placed the ivy over the flourish and here you can see the flourish on the frame. The rose leaves were then placed over the ivy and branch. 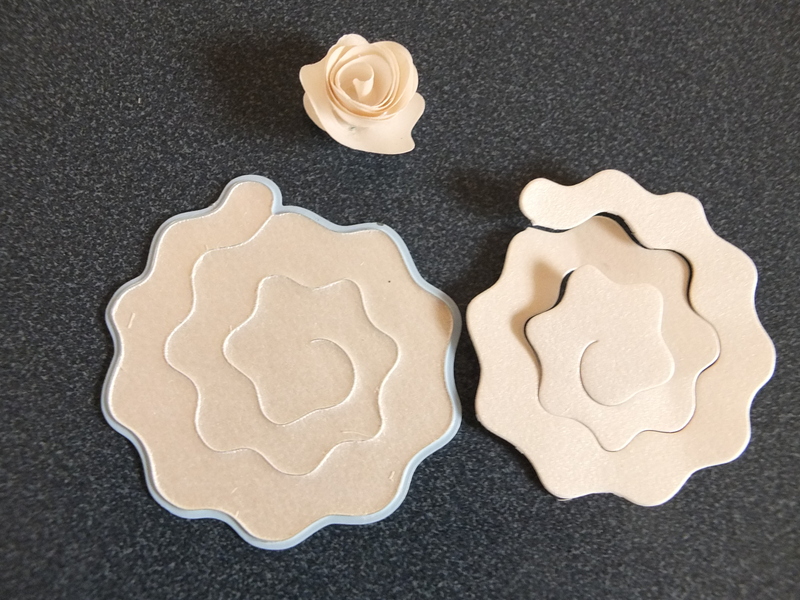 The roses were made by using my quilling tool to roll the die cut flowers into a rose shape and using a quick drying glue to hold them into place. The roses were then glued into place over the rose leaves and ivy. Here are some close up images. 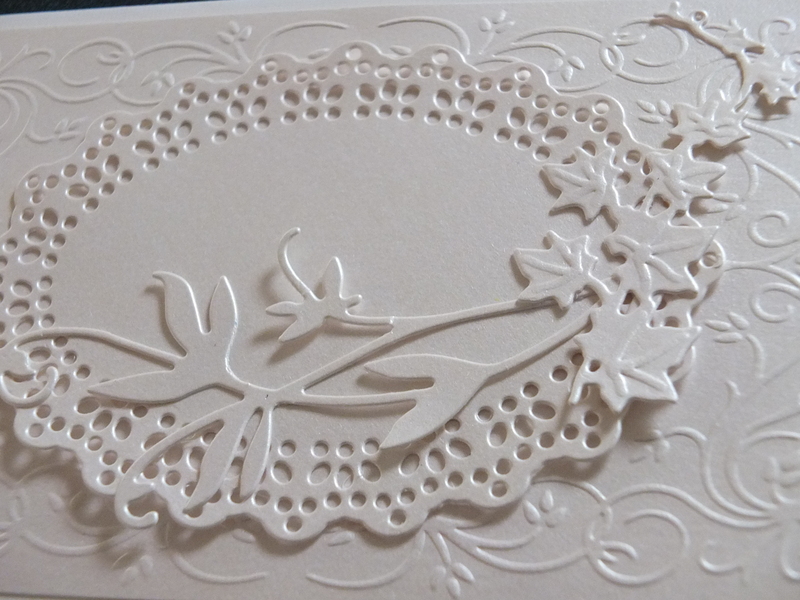 To finish off the card I have placed a Peelcraft greeting on the oval. 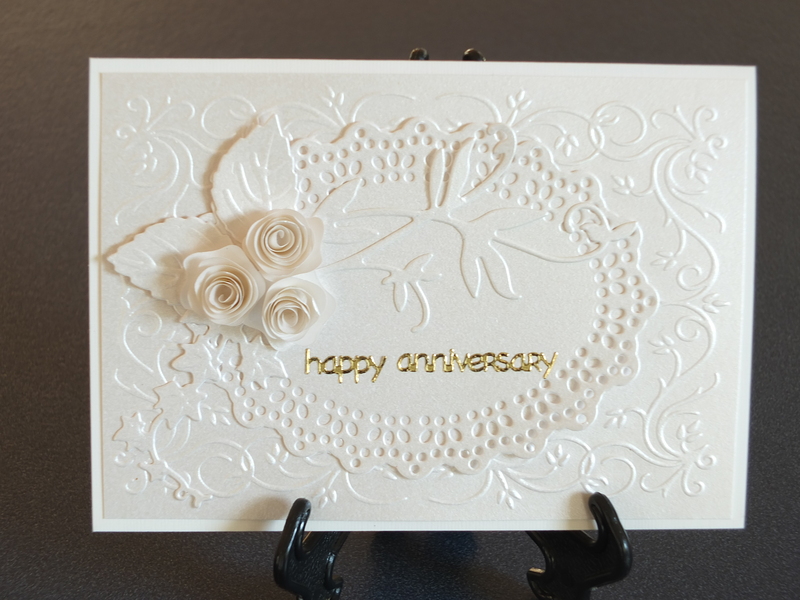 Here I have used a ‘happy anniversary’ greeting as I need to make some anniversary cards to add to the range of cards for Make Shift. But an elegant Happy Birthday would be lovely as well. 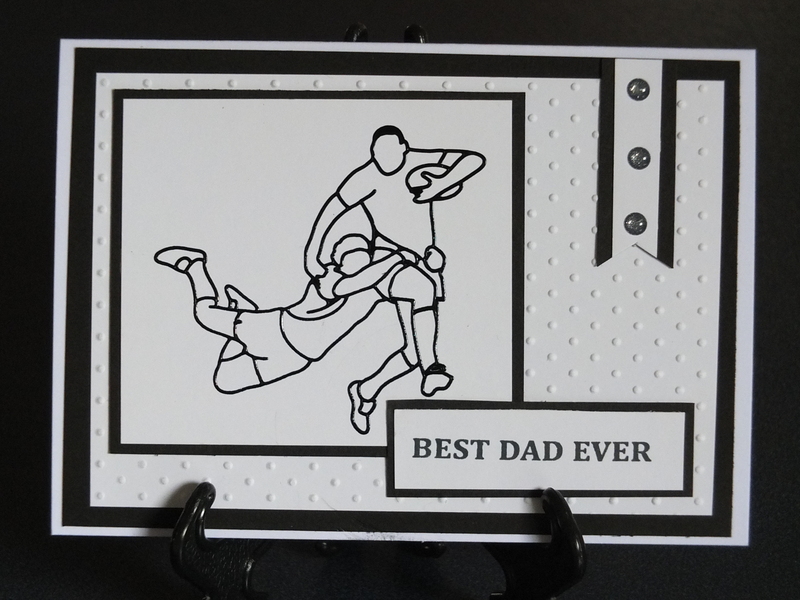 Depending on the greeting used this card could be either a landscape or portrait card. Before gluing everything together I played around with all the elements to ensure that I ended up with a pleasing arrangement. 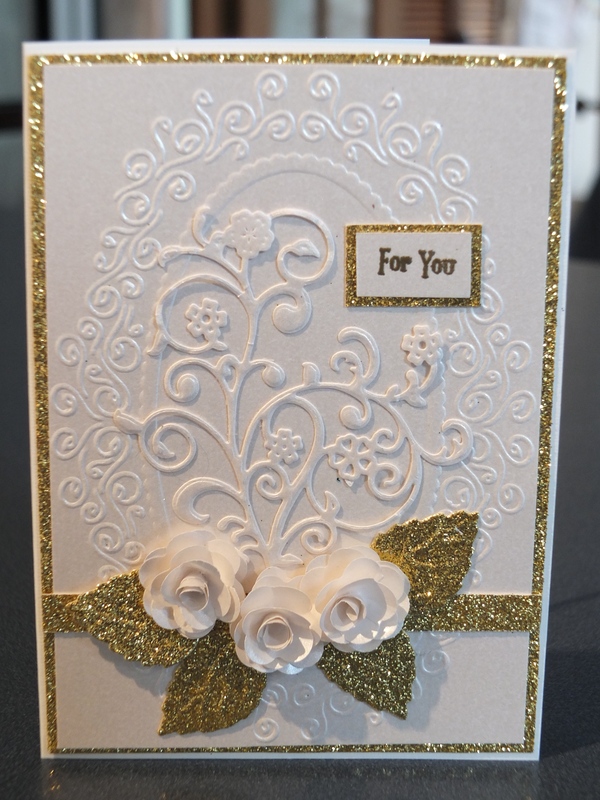 I love the simplicity of the cream on cream and the metallic finish makes this card very elegant. 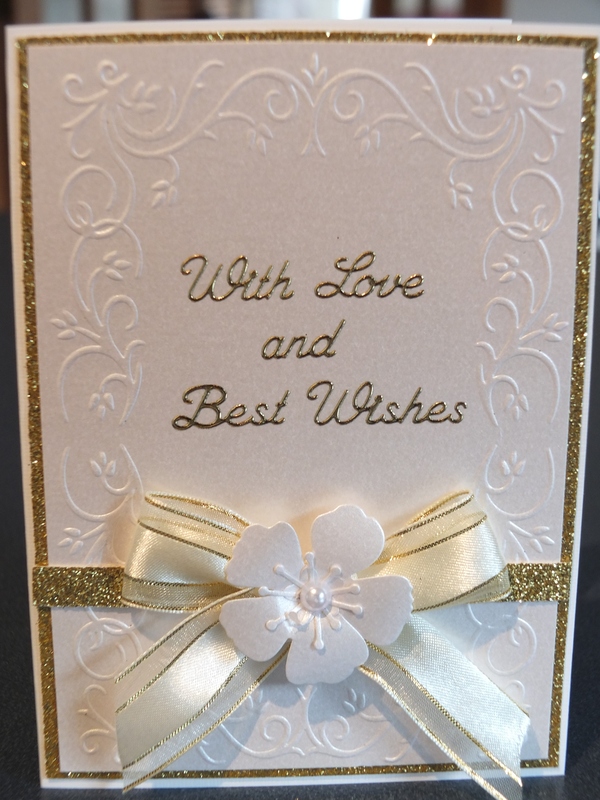 It could be suitable for a lot of occasions depending on the greeting and die cutting numbers in gold could personalise this even more. 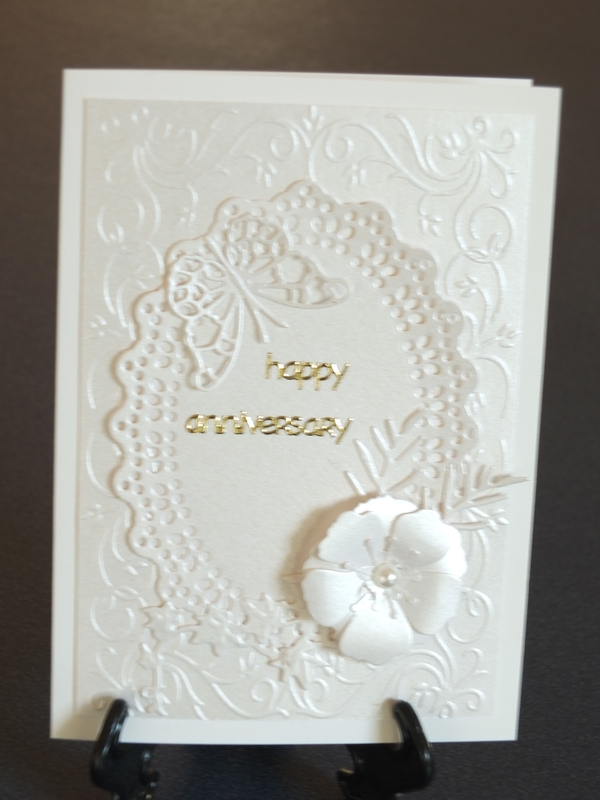 (I am so looking forward to getting my Cricut and CTMH Cricut cartridges to add a greater dimension to my cards – couldn’t resist putting this in as we have a date to start on 1st September). The dies have been purchased through www.kalsbeek.co.nz. 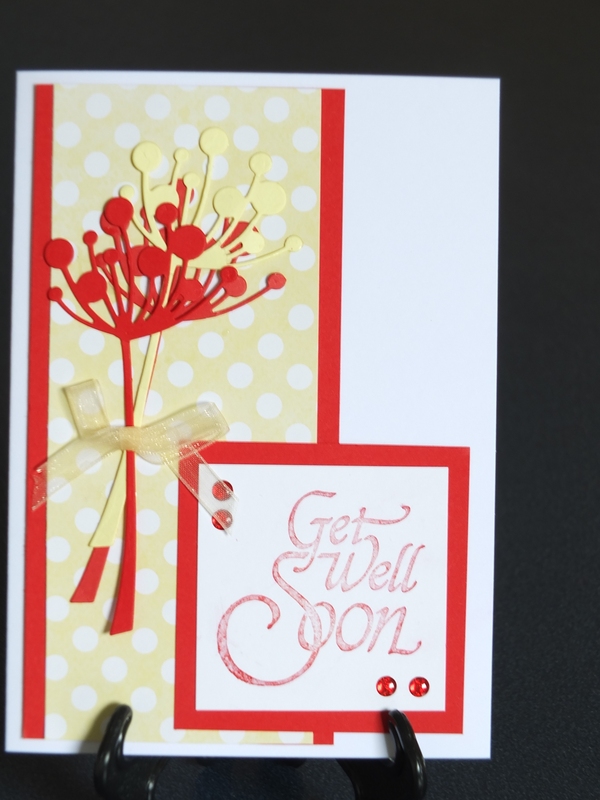 They have a great range of the Marianne Creatables and Craftables products and many more products to make fabulous cards. I have found their after sales service to be excellent. Despite a couple of reasonable aftershocks I have finally managed to finish this post so I hope that you have found it useful and easy to follow. I would like to welcome all my new followers to my blog and I hope that you enjoy coming on my creative journey with me. I would also like to thank those who take the time to read my posts and also leave comments as well. I really appreciate the feed back that I am getting. I was very excited to receive an email this morning from Close to My Heart informing me that we are very close to the launch in New Zealand – the first week in September to be precise. I can’t wait to start and am starting to de-stash in order to have space and money for my new CTMH products. 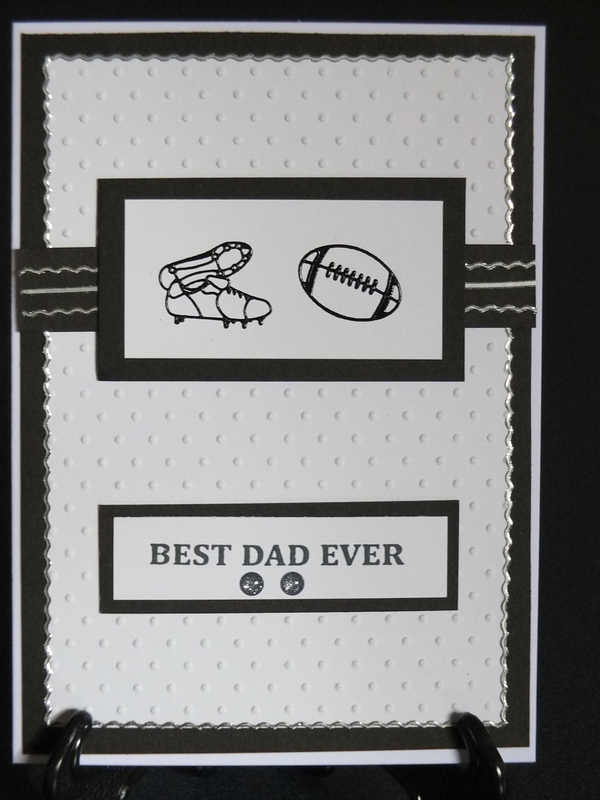 The Cricut cartridges look so awesome and I am very impressed with the cards and scrapbook layouts that are coming through from the Australian consultants. 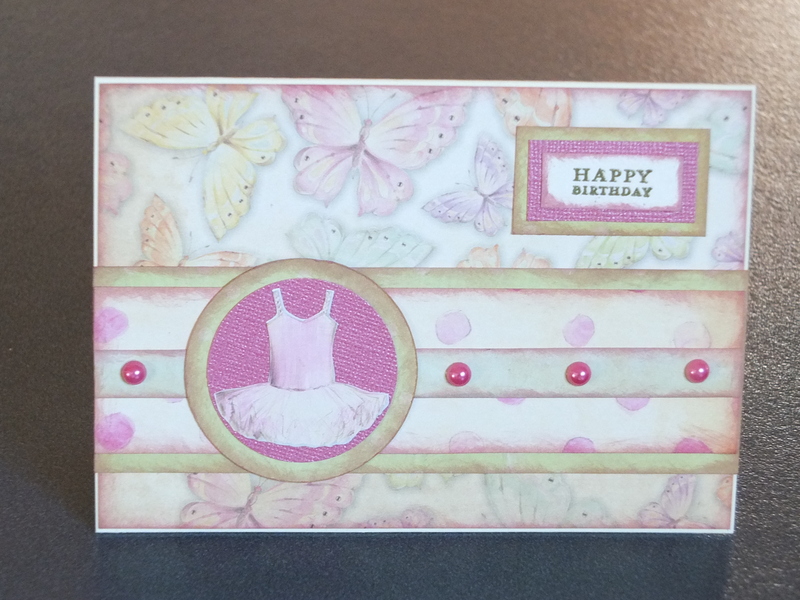 In the meantime I have been doing some scrapbooking and cards. I am getting through my son’s album and I am now up to his 3rd birthday. I have used the It’s a Boy stack pack to complete his second year and I am waiting for the cricut cartridges to make some titles to complete them and then I will post a few pictures on here. I love the colours of this stack pack and they went very well with the photos of James. I am looking at doing his next album using the Pro-player WOTG kit. 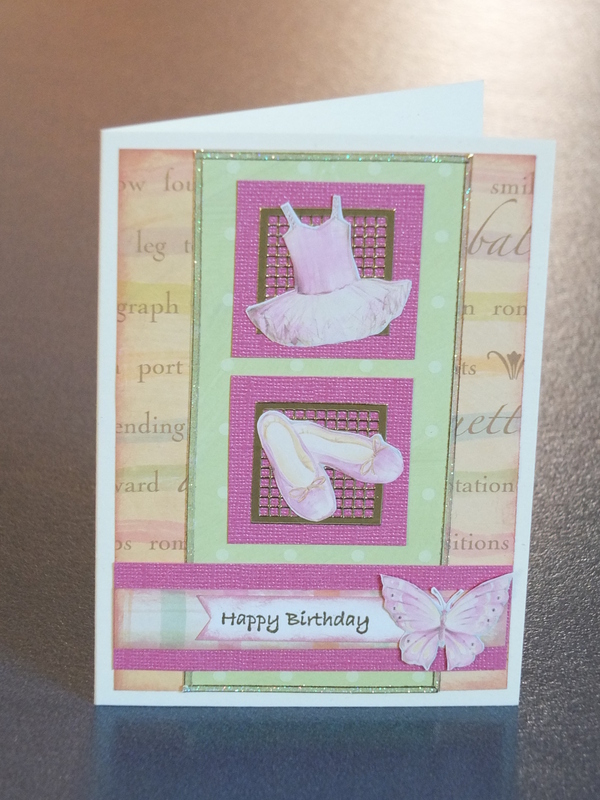 The colours are great and I love the coordinating stamps and shapes that go with it. It is more appropriate for an older boy as well. 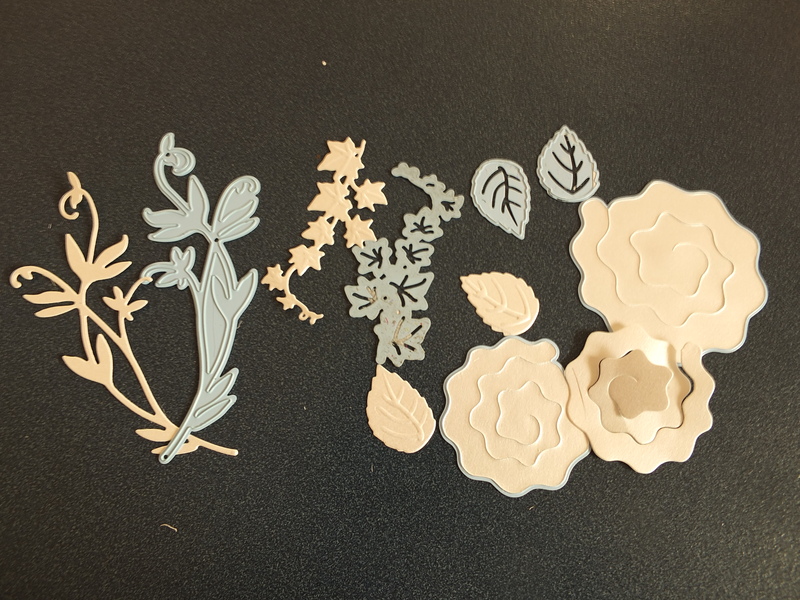 Marianne Creatables flower and leaf set – sorry I seemed to have mislaid the name of this die. 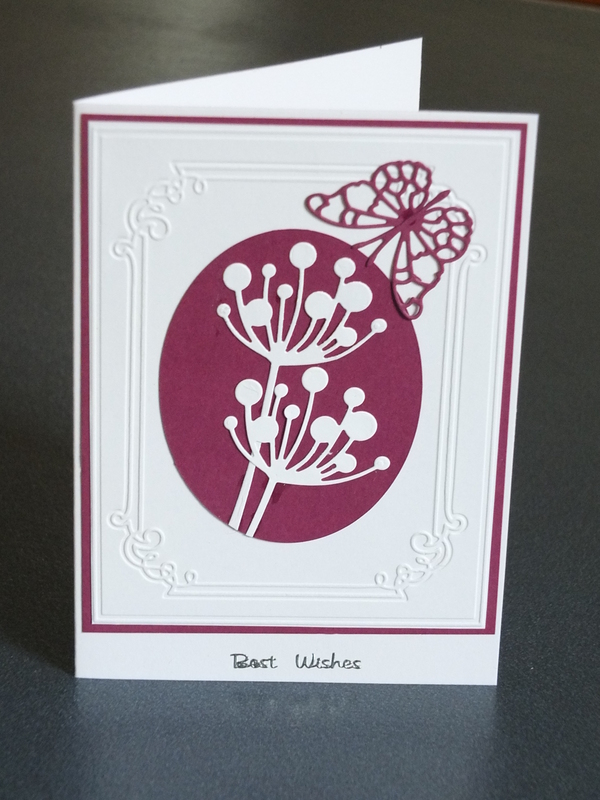 I am pleased with the colour combinations and the simplicity of these cards and I hope that you like them too. Have a good weekend everyone and Happy Crafting. Wow, we are getting so close with Make Shift opening for the public. It has been a lot of hard work, but it is going to be so worth it. I would like to thank my fellow Collective Members who have been amazing in their commitment and resourcefulness to help get this dream up and running. It has been an incredible journey and I would love to think there is far more to come as well. 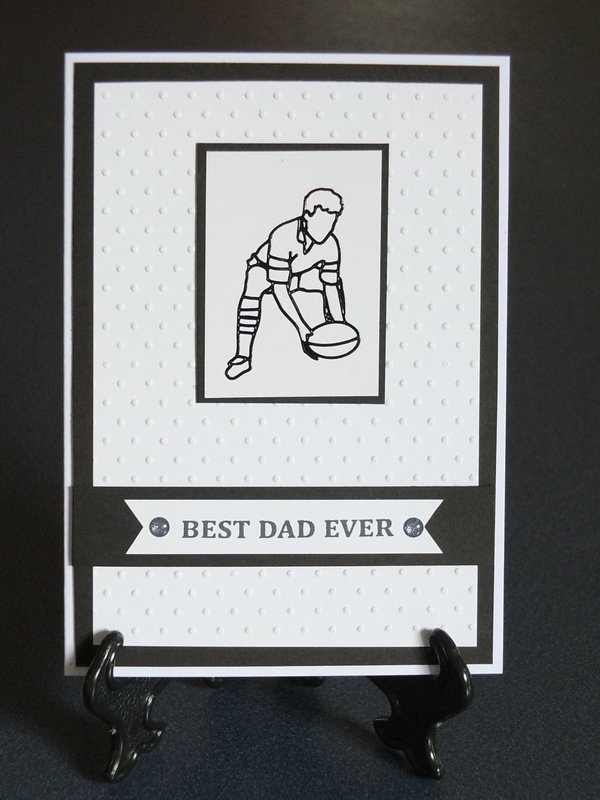 We have Father’s Day coming up next month and living in a rugby mad country I have made some special themed cards for Make Shift. In New Zealand, the All Blacks are our national rugby team and in the process of de-stashing I found some All Black stickers that I had bought to do some All Black layouts after we won the Rugby World Cup in 2011. (James took so many photos of the victory parade that I ended up doing a photo book instead!) 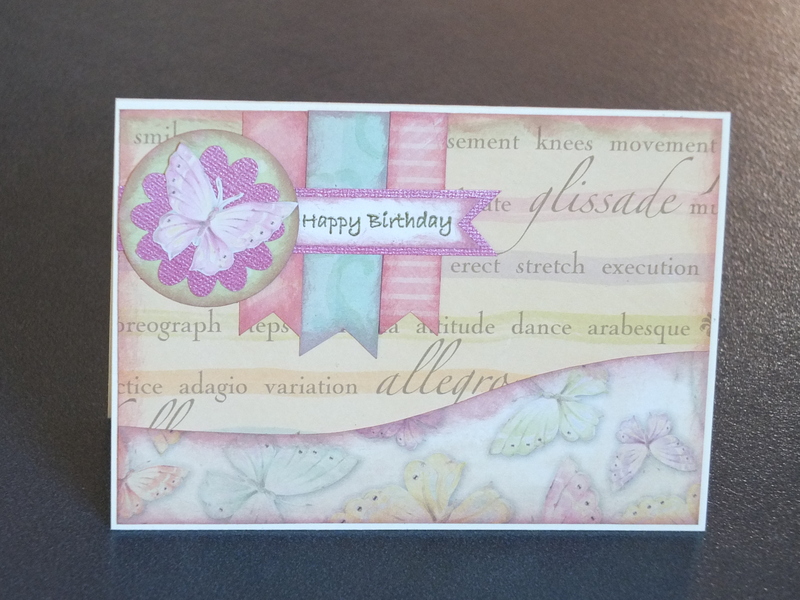 These stickers became my inspiration for some cards instead and I am pleased how they turned out. 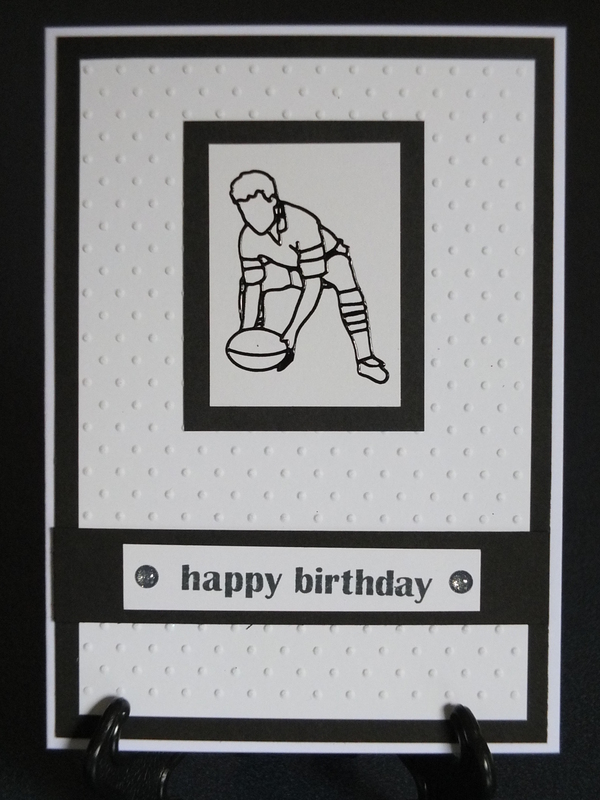 I kept to a simple black and white theme as it emphasised the clean lines of the stickers which meant they were very quick and easy to make. 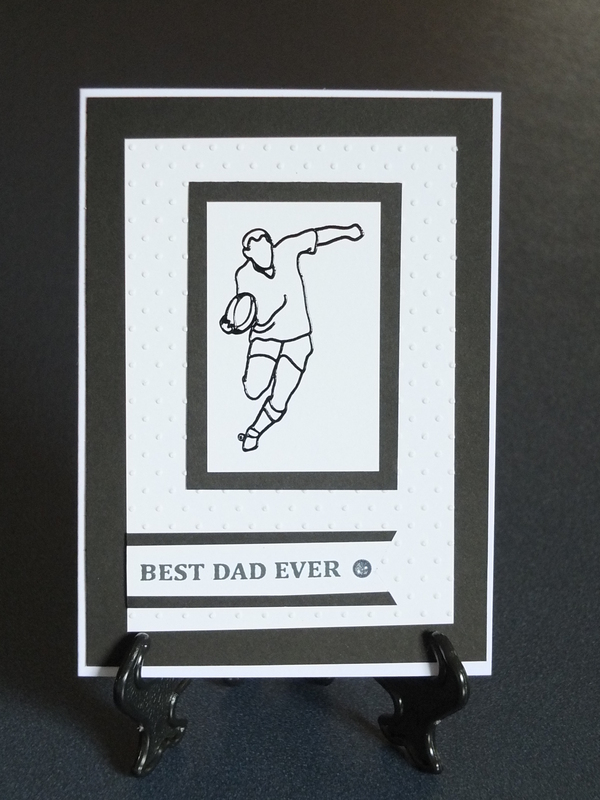 I have also chosen the sentiments so that the cards could be suitable for both Father’s Day and birthdays. Welcome back to my blog and thank you for taking the time to visit my blog and leave comments. I really enjoy getting your feedback. 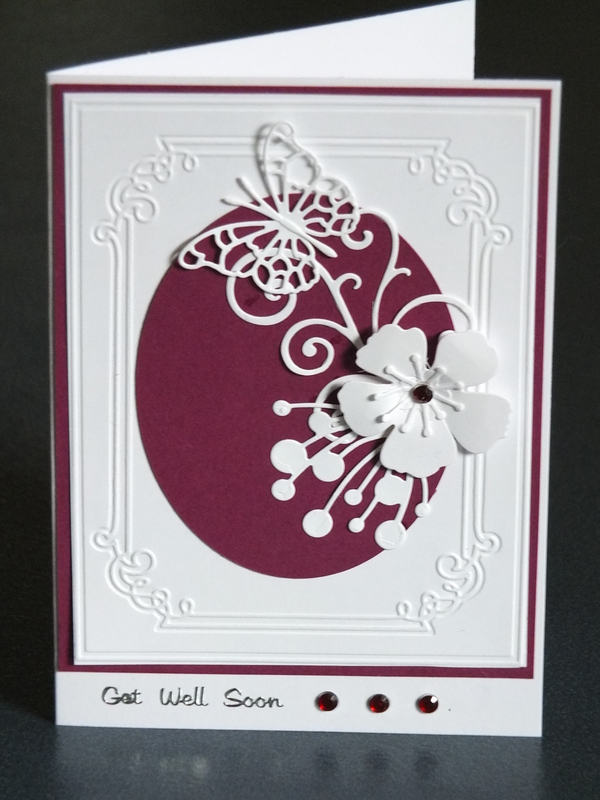 Here is some more cards for Make Shift and this time I tried to keep to a very simple colour theme. 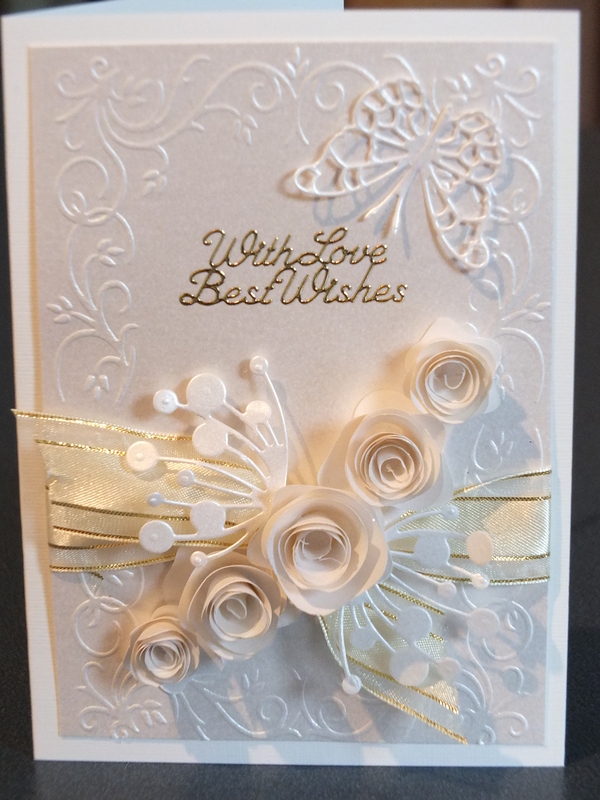 I love the look of cream on cream, gold and cream and white on white with lots of different textures and shapes. 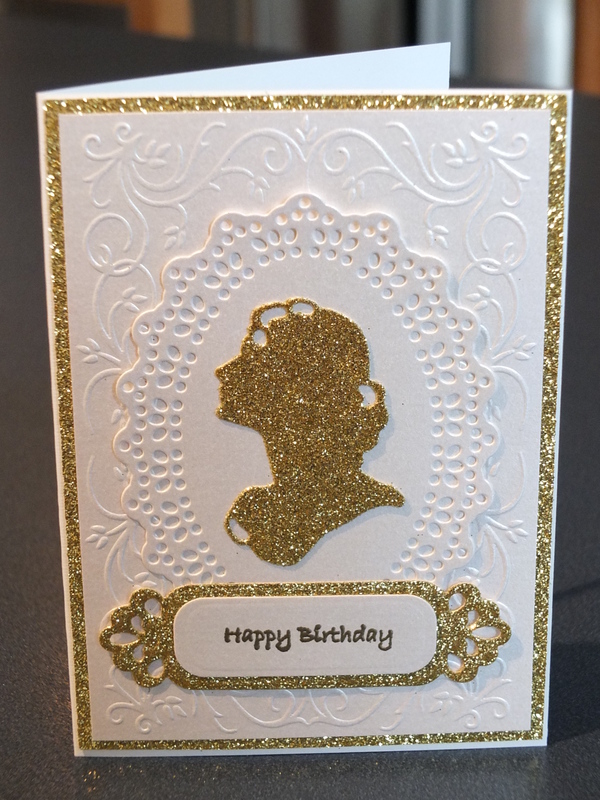 Plus I have added a little bling with some gold glitter cardstock to add some sparkle to a few cards. 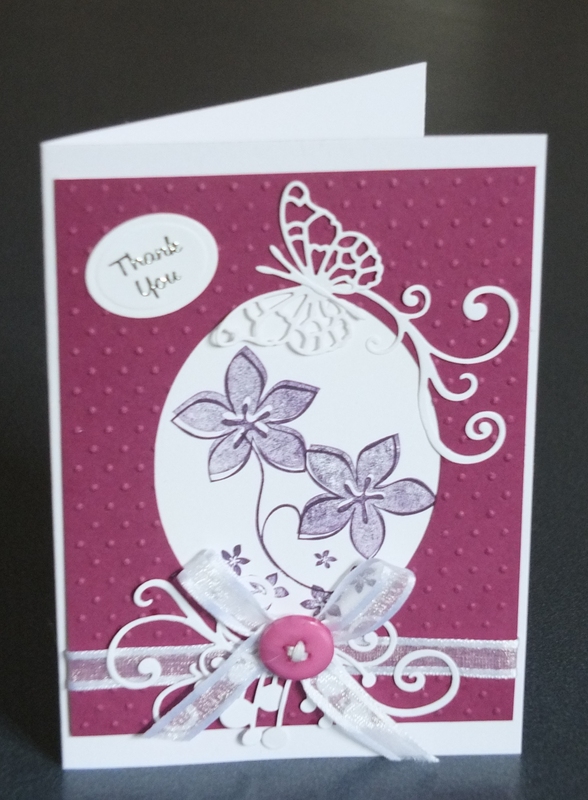 My Cuttlebug has had a good workout with the embossing folders and die cuts to create the different textures and patterns. 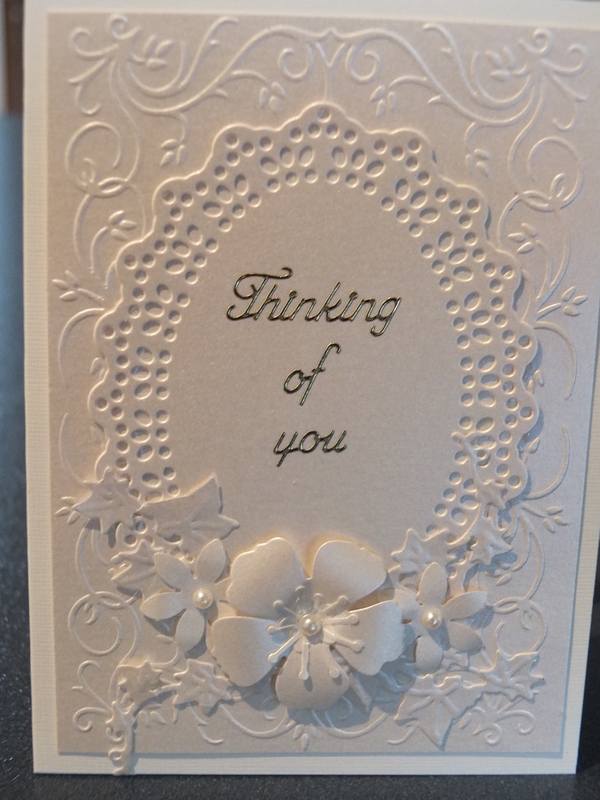 I have also purchased some dies to make my own flowers and find that they add a different dimension to my cards. I hope that I have remembered all the materials I have used. As I have said before I am working through all my stash so that I can start fresh with Close to My Heart products. I have been busy going through all my stash and found these gorgeous papers that I bought years ago when I first starting scrapbooking. They are from K & Company and the pack is called Hopscotch. 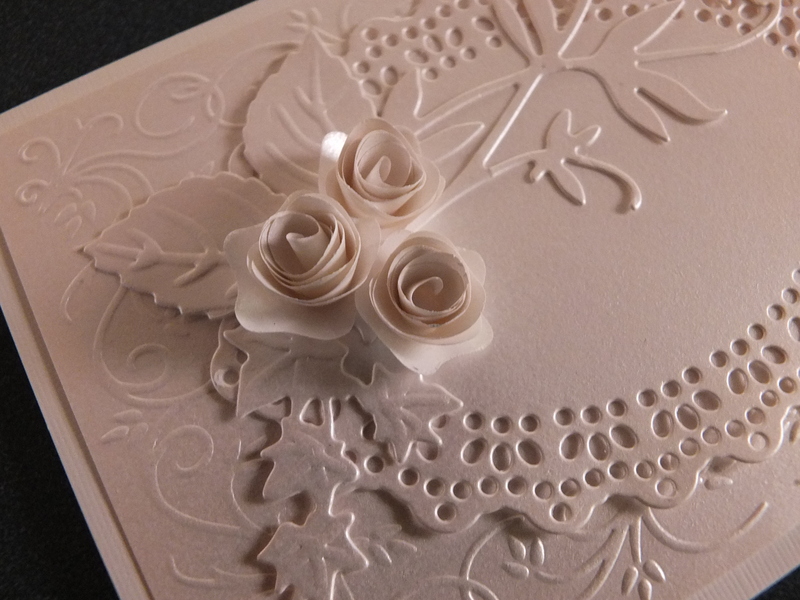 I have no idea if they are still available, but the papers make beautiful cards. I have already done a couple of layouts of my ballet forms from many years ago and will perhaps keep a couple of papers for layouts for my daughter for when she did ballet. I managed to match up the colours with various cardstock that I had already and I am really pleased with how they turned out. 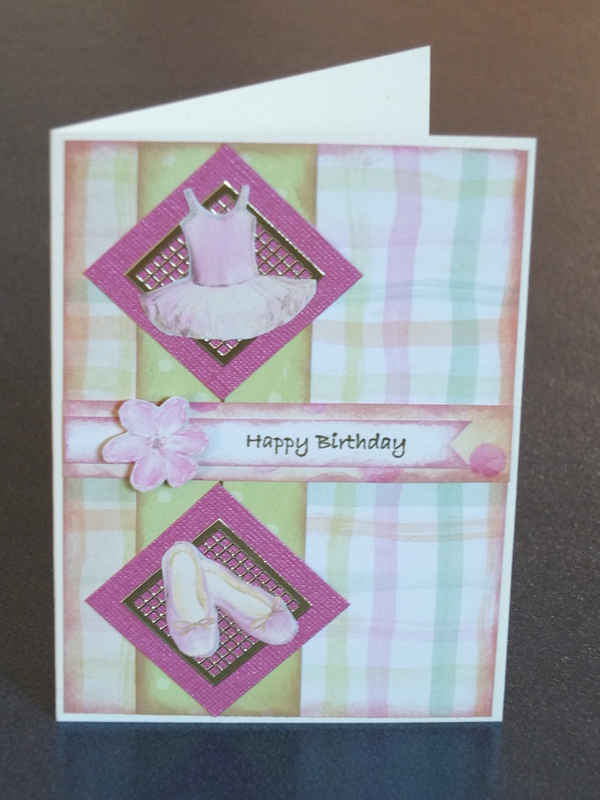 For most of these cards I have distressed the edges and that has helped with making the different papers stand out more from the backgrounds. 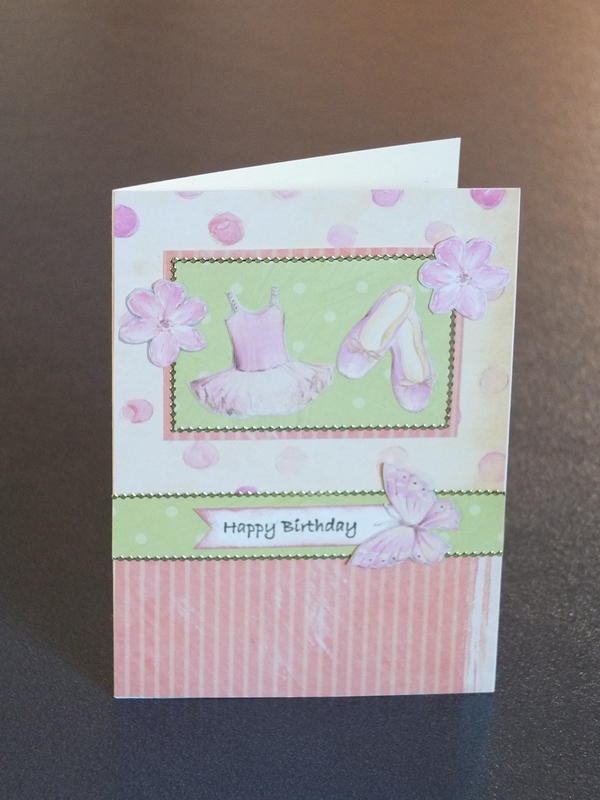 The little pictures of flowers, butterflies and tutus have been fussy cut out from the paper. 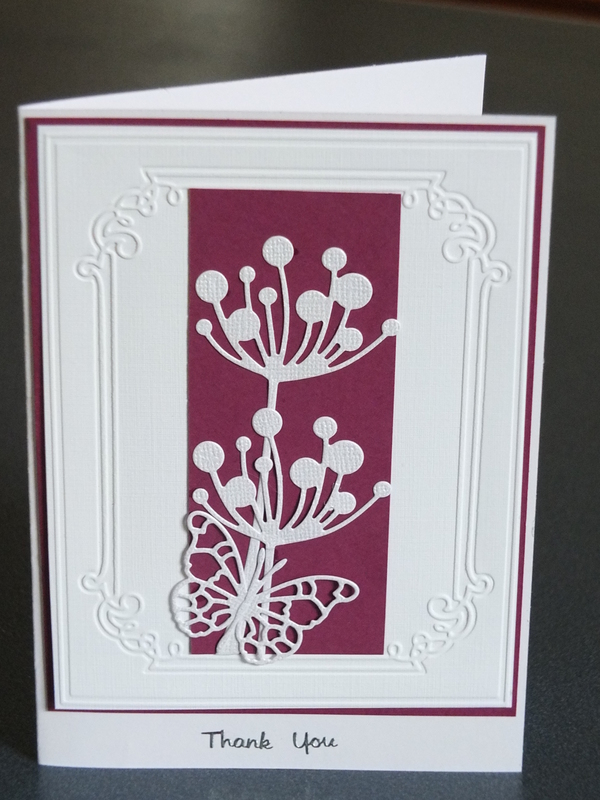 These cards have been easy as the paper and colour coordination was made easy by using the same range of papers. I am sure these will go down a treat at Make Shift. 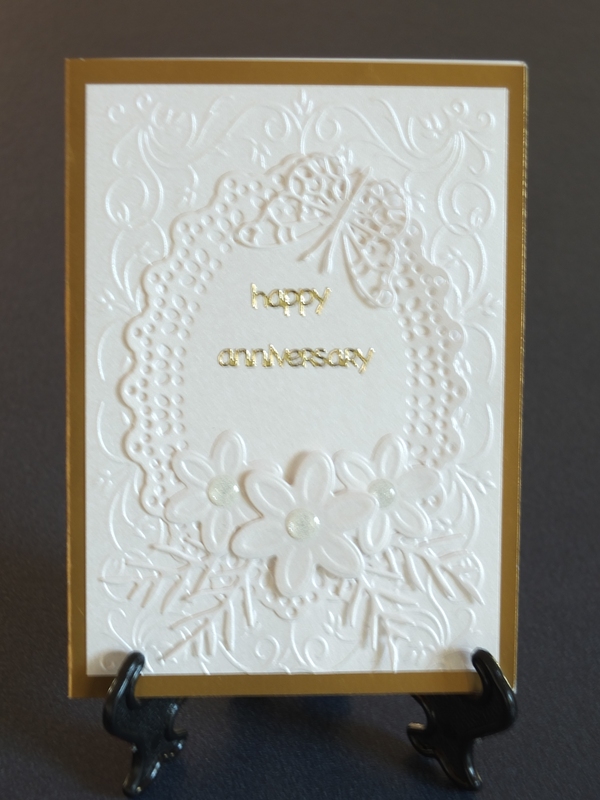 Creative Memories Custom Cutting System – circles. I am really excited to be going to Auckland tomorrow to find out more about Close to My Heart and also get my hands on some of the products. I can’t wait to join up and start having workshops at Make Shift. I am looking through all my stash to try to either use it up or put it on a de-stash facebook page before I start with Close to My Heart. I have a mix of different products from different companies and lots and lots of different papers so I will probably take some of these to use up at my Crafty Angels group when we do some papercrafts next term. 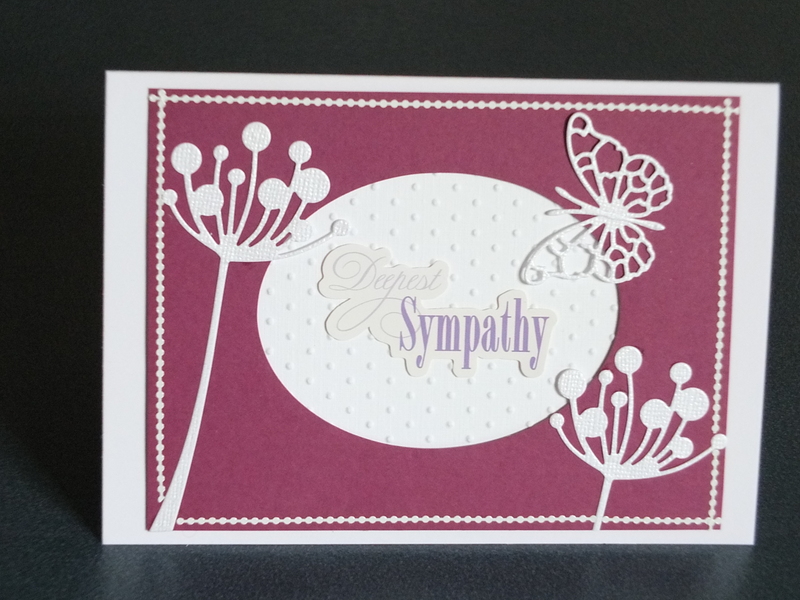 With these cards I have used a burgundy card from Stampin’Up (sorry I don’t know the name of the colour as it came in a pack that was on special – I have been told it is Rich Razzleberry by my Stampin’Up friend Julie Butler) and white cardstock and used embossing folders and Memory Box dies to create these cards. I even sneaked in some stamping as well. I took these cards to the library where I take a card making session and sold a couple of cards before I could even get them put aside for Make Shift. 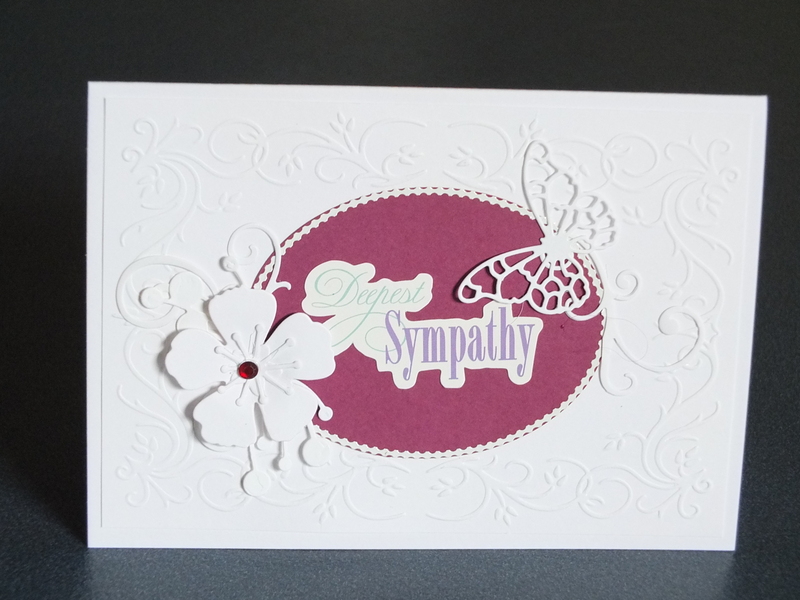 I have just purchased a Cricut Expressions 2 and put it on layby so won’t be picking it up for a while. I am not sure how long I can hold out with this as it is going to expand my creative horizons so much! I have been watching videos on You-Tube and can’t wait to get started. Next week I am off to Auckland to learn more about Close to My Heart and get the chance to get my hands on some of the CTMH products which I am really looking forward to. We have been really fortunate that we have got this opportunity to move forward with. I really feel for the CM Consultants in Canada and the United States who may not have the same opportunities. Have a good day and Happy Crafting.